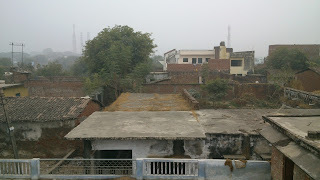 Umarpur Niwan as it is known in the revenue records is a large village lying along the Ganges very close to the cantonment and military farms in the City of Allahabad. Today Niwan falls under the Kaurihar block in Tehsil Sadar of Allahabad whereas it has always been in Pargana & Tehsil Chail in the past.The village is located on the west bout 5 KM / 3 miles away from the head-quarters of Main City. It was the largest village in Pargana Chail in terms of Population as per the 1951 census. It had 7362 persons in total with Non-Scheduled Classes at 3952 persons. 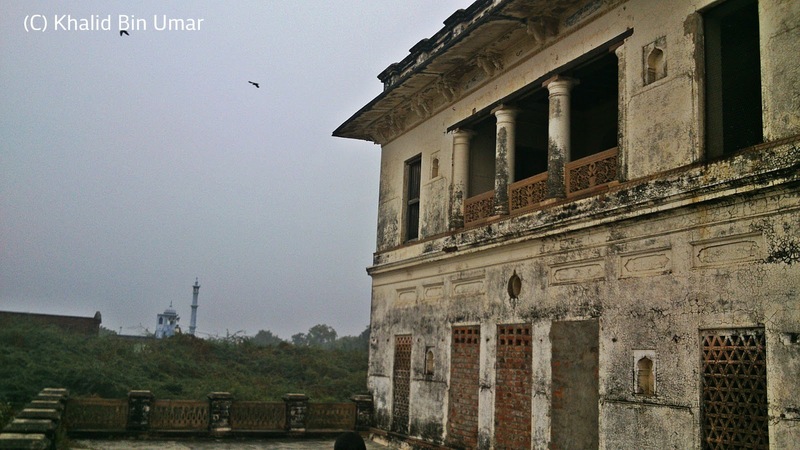 Originally the Zamindars of Niwan owned the lands as far as from the boundaries of Sarai Salem including Meera Patti till the Kachhar of Ganges. 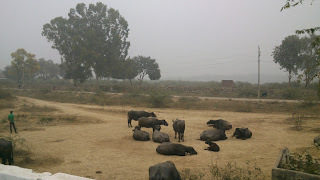 In between all the hamlets, Purwas were under the ownership of zamindars of Niwan. 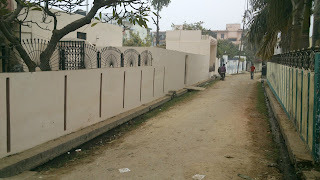 Like Yadavpur, Ramman ka Purwa, Saraiyyan, Bhola ka Purwa, Taad Bagiya, Abubakarpur , Pritam Nagar, Jayantipuram , etc etc . 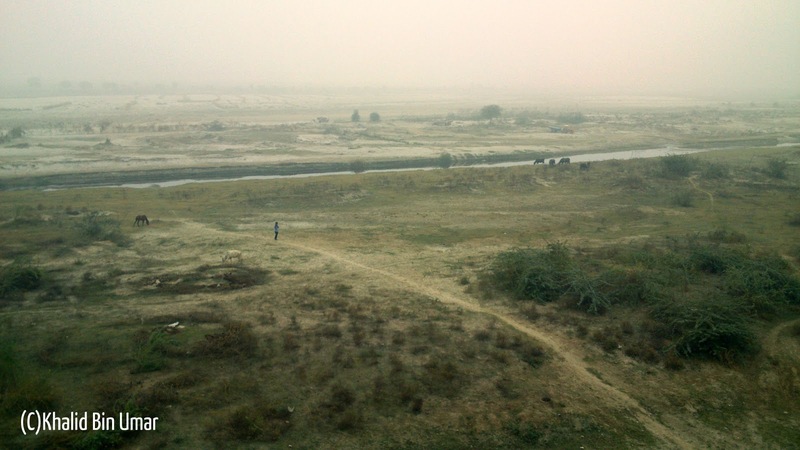 In the north-west, close to Niwan Village, there is a large lake kncwn as Niwan Tal artificially made by damming the mouth of a long ravine at its outlet into the Ganga. In the southwest, an extensive area is utilised as a military dairy farm. Originally there was a Macpherson Park and the Lake was also named after him. Later on Nehru Park was established. 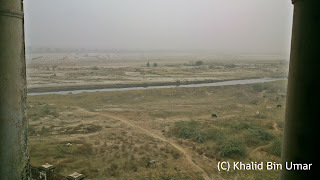 Macpherson Lake which was once the prime attraction of the city has over a period of time got filled with weeds and polluted water, owing to flow of untreated sludge as also drainage water into it, which further gets discharged into the Ganges. It is noteworthy that a considerable part of the present cantonment was also owned by Niwan Zamindars which was acquired for the cantt after the 1857 uprising. 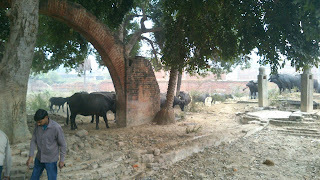 Alipur - included in the military farms. Niwan has also been spoken as Nimah among the locals. 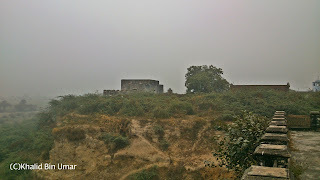 Niwan is indeed an old village and it was inhabited by the Ray/Thakurs who lived there under the local kings. 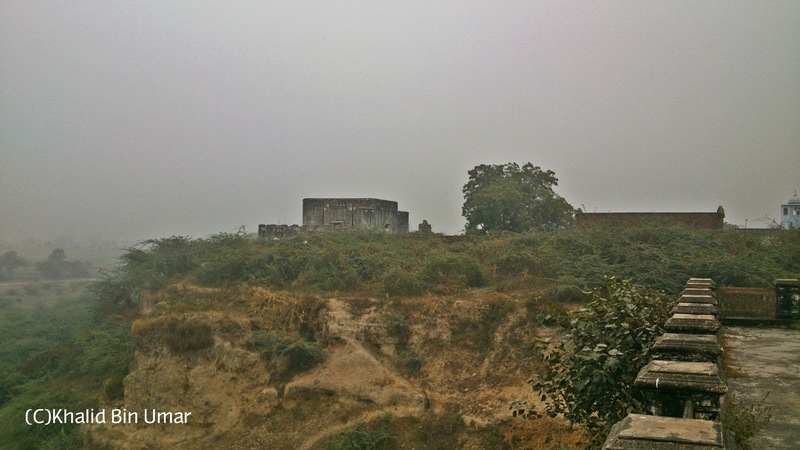 The head-quarter was on the top of the hill on the east of the village which is still known as Garhi. People have found earthen wares, brass-wares and sometimes the old coins around the Garhi whenever they had a digging or when the slopes open in the rainy season. 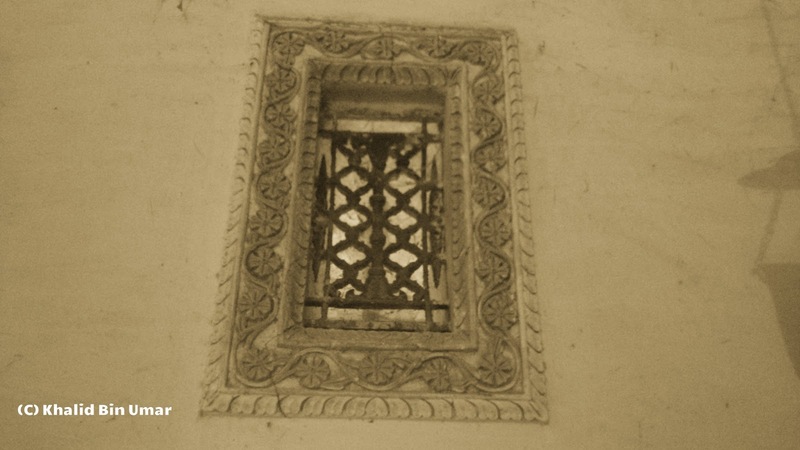 A coin of Alaudddin Khilji found here was with a family in Neewan. 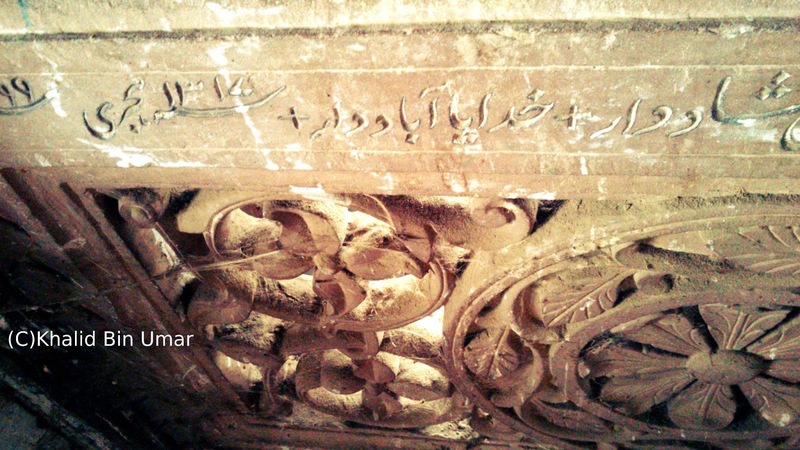 Around 300 years ago, Peer Mahmood Shaheed (also known as Isma’il) came here from Behka and took over the village after an armed skirmish with the villagers and the local magnates. The slain locals were interred in a place that was known as Gar-Gaj while the triumphant ones buried their Shuhada in Ganj Shihidan known as Takiya. 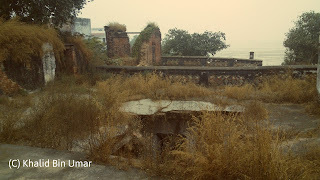 This place serves as the cemetery of the Zamindars of Niwan to this day. Here you find the enclosure of the graves including the mazar of Peer Mahmud Shaheed inside with other graves of his descendents. 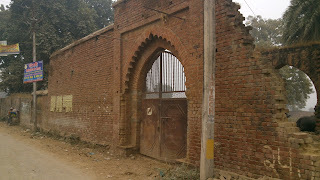 During the 1857 uprising, after the British regained the control, the people ran for their life here and there and in the course since Niwan was closer to the city , the village was filled with people of all caste creed and religion from the city of Allahabad when they were chased, brutally tortured or murdered by the british for their “supposed share” in the “Revolt”….Even British platoons came here to capture the “Culprits several times. 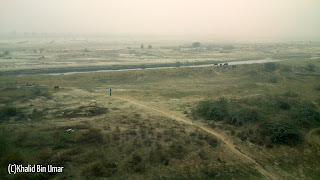 This time people from Niwan too migrated to elsewhere inside the countryside. The Zamindars and their familes took shelter in Asrawe & Bisauna etc and they lived there for six months, after the British proclamation of promising unconditional pardon, people returned to their houses in Niwan. That was a difficult period indeed. See excerpt below. The entire lot of the erstwhile zamindars of Neewan is Shaikh of Siddiqi branch. They share their Shajrah-i-Nasb with the Shaikhs of Behka. You would have read about Shaikh Habeeb-ullaah Siddiqi of Behka who had few sons. One of his grand sons was Shaikh Mahmood Urf Ismail Sahib who left Behka and settled in Niwan and who should be rightly called the forefather of the Shaikhs of Neewan. Niwan was owned ,distributed & divided equally into three thoks by the elders of the Shaikh Siddiqis as Thok Muhammad Amin, Thok Muhammad Panah and Thok Muhammad Gahiya. Now let us see who all came form these thoks. There was a family of Pathans as well who was last represented by Aladad Khan s/o Kallu Khan who had some shares in Zamindari by way of Purchases. From Shaikh Muhammad are Mohammad Baqar, Ataullah, Who had Anwarullah, Ashfaqullah and Absarullah (X). Ashfaqullah had Samiullah and Ahmadullah (pak) , Samiullah had Wasiullah Advocate & Hakeem Matiullah ||Anwarullah ( pak) have Zakaullah, Nabiullah, Shafiullah. From Ali Muhammad are Abdul Razzaq , Abdul Jaleel, Abdul Azeez and Abdullah. 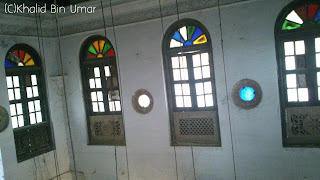 From Abdul Razzaq came Abdul Khaliq who migrated to Neem Sarai and his son was Safat Alam who is the father of Kafeel Ahmad (Phillu Wakeel) at Neem Sarai. || Abdul Jaleel had Ahmad Saeed who had Hafiz Muhammad Ahmad who was the father of Manzar-ul-Islam (Advocate) and Zameer-ul-Islam ||| Abdul Azeez migrated to Mahgaon and his son was Abdul Hai and then his sons were Abrar & Anzar who has Zafar Ahmad. | From Abdullah came Kareemullah and then Aleemullah who too migrated to Mahgaon and his sons are Mahfooz Ahmad, Mamoon Ahmad (Pak) & Haroon. 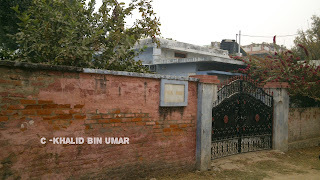 The above-mentioned Jamiat Ali had his son Turab Ali migrated to Abubakarpur and his descendents are still living in Abubakarpur. Details will follow. Mohammad Panah had Ghulam Ali and then Dayanat Ali who had Amanat Ali Urf Miyan Jan, Karamat Ali Urf Kammu ,Arshad Ali Urf Manna - Then Amanat had Ali Jan , Kammu had Sifat Ali who had Gulzar Mohammad & Mohammad Moosa who was the father of M.Khalid Niwani , the famous professor in Economics at Allahabad. Arshad Ali had Muslehuddin, Fatehuddin, Hakimuddin. 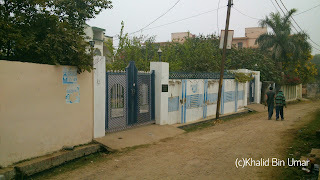 The family of Gulzar Mohammad and his sons Shameem & Naseem , Aijaz migrated in 1947. Muslehuddin had Aleemuddin while Fatehuddin had Zafaruddin who have M.Shoaib and Asif. There were other familes in Thok Panah that are not recorded properly (i)because they went without any male issue like , Meer Ali who had Taigh Ali and Shamsher ali and Khizr Ali who had only one daughter. (ii) they migrated without any trace , like the family of Faiyaz u lHaq, Ramzan Ali , Abdul Rahman, Abdul Wahhab, Jawwad, Mohammad Raza, Manna etc etc. This Thok was imitated with Mohammad Gahya who married outside the Biradari and went out of the record. Similarly the family of Lal Muhammad who had Ehsanullah & Ikramullah also have no records whatsoever. The third one was Tikey Miyan who had Khoobullah then Murad Ali who had Meer Ali & Ghulam Ali. 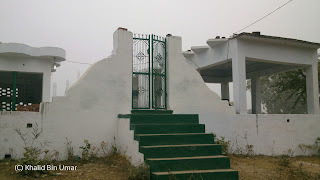 All of them went without any male heir but started adoption as the means to protect the property and name and this created the unique combine of Mamu-Bhanja that became the biggest aristocratic family of Pargana Chail in the years to come. 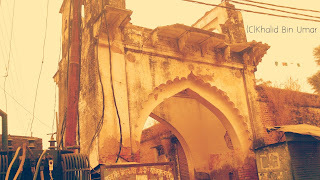 Ghulam Ali’s sister was married in Bansa-Baghara to Ramzan Ali , his son was Shaikh Abdul Samad who was adopted by Ghulam Ali to Inherit his entire business & Zamindari in Allahabad. Now Abdul Samad married and had sons who died without any living ssue and thus Abdul Samad had no choice but to adopt his sisters son , Sayyid Muhammad Isa ( Nawab Isa ) who was the son of Meer Hatim Husain of Asrawe kalan. Now Nawab Isa had Sayyid Liyaqat Urf Liqqan , Prof.Sayyid Muhammad Ahsan (No Issue), Mohammad Hashim ( No Issue ), Dr.Mohammad Aijaz (P.hD Chemistry, USA) & Dr.Mohammad Ikram ( Pak). Prof SM Ahsan was a professor of English in Osmania University Hyderabad and he had settled there permanently. After the death of Nawab Isa, he became the the co owner of inhereted assets and managing trusttee . He left all his share to Syed M. Hashim and returned to Hyderabad. There were intra family litigations as well. Dr.SM Aijaz did his P.hd from Arkansas University and is settled in US. His son Dr.Asim Aijaz is a specialist medical practitioner there. Dr. SM Ikram after doin B.Sc from Allahabad in 1952 went on to complete his MBBS from KGMC (Lucknow ) and later on migrated to Pakistan. His son SM Amir is a pediatrician in US. 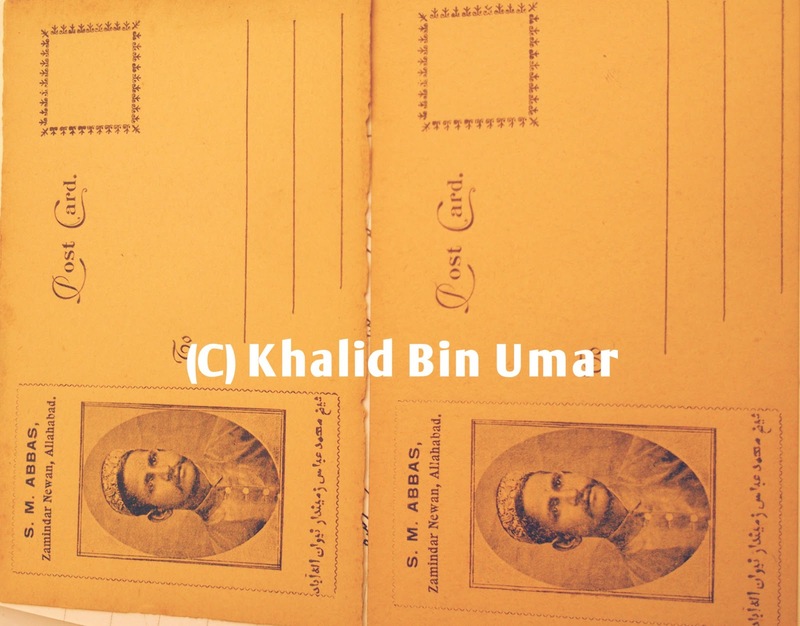 Nawab Isa had two brothers as well namely Sayyid Umar and Sayyid Ibrahim (No male heir). 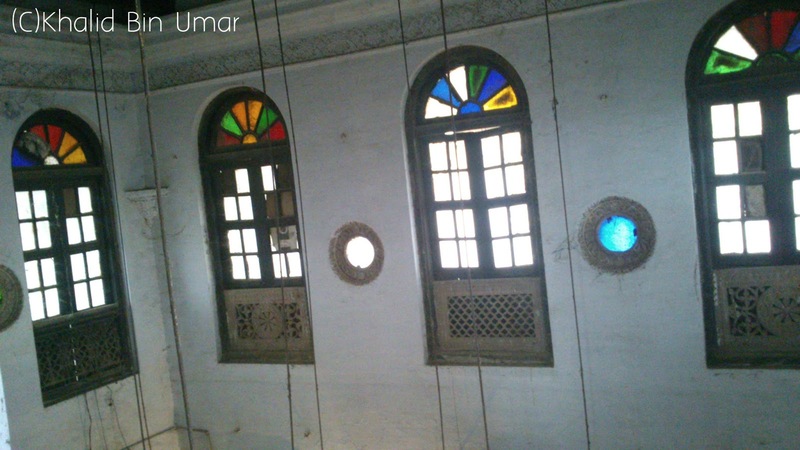 Sayyid Umar had 3 sons – Sayyid Farooq ,Sayyid Zafar and Sayyid Usman(No Issue).Farooq had Sayyid Muhammad Salman Urf Pasha whose wife Anees Fatima is the present occupant at Kothi, Neewan while Sayyid Zafar was the father of Sayyid Muhammad Ashyam who is the present occupant at Kothi,Allahabad. 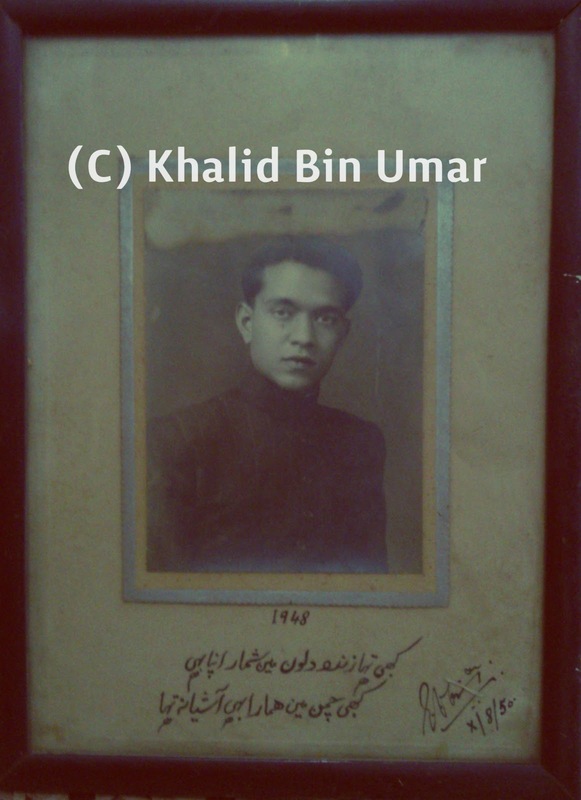 Abdul Khaliq s/o hafiz Abdul Razzaq migrated to Neem Sarai . Today this family is known for Kafeel Ahmad (Phillu Wakeel) who has Asif Kafeel. Abdul Hai & Abdul Salam sons of Hafiz Abdul Aziz of Niwan migrated to Mahgaon in their in-laws , Abdul Hai had Anzar and Abrar Ahmad. Anzar Ahmad has Zafar Ahmad who migrated to Pak. 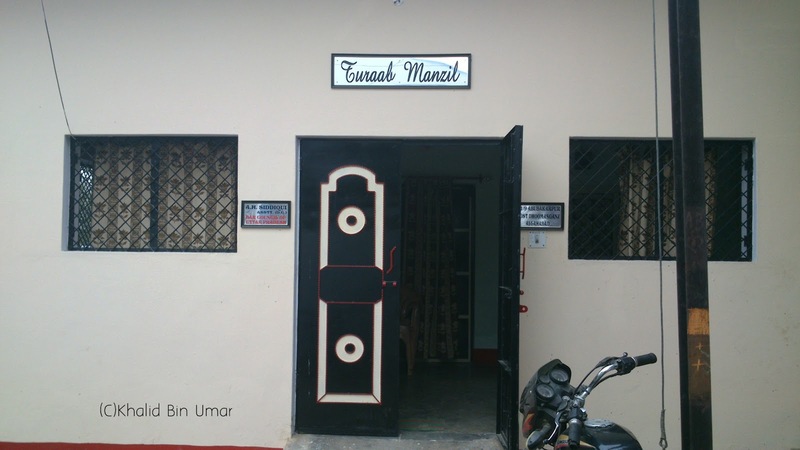 This family initially was engaged in and established a Madarsa Azizia in Mahgaon which was fairly successful and was a govt aided madarsa and had two buildings in Mahgaon but it is history now. 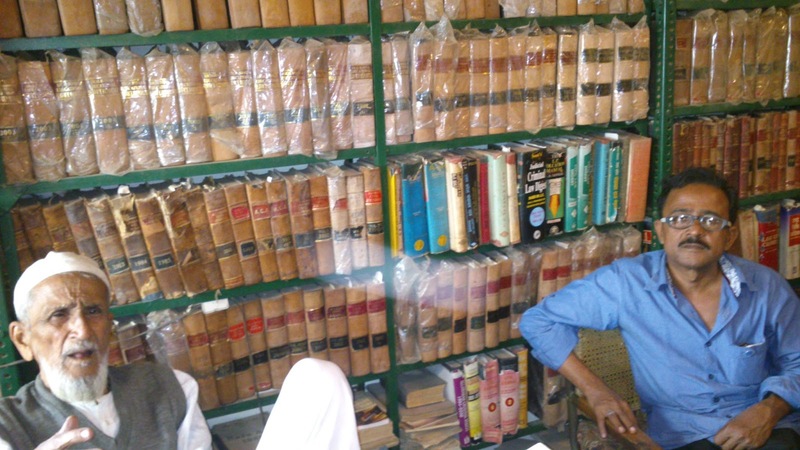 Hakeem Abdul Salam was a qualified Hakeem and he practicsed in Amethi (Rai Bareli) for some time. He erected a mosque there that is known as Hakim Ji ki Masjid in Amethi. Shaikh Aleemullah of Niwan migrated to Mahgaon since his father in law Hakim Abdul Salam had also migrated to Mahgaon.He was an enlightened & God Fearing person. His sons are Haroon Ahmad (Died Young) ,Mahfooz Ahmad and Mamoon Ahmad (Pak) in Mahgaon. 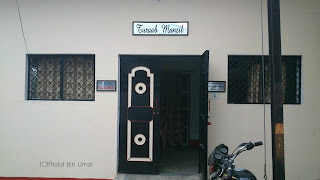 Mahfooz Ahmad is the present care-taker of the Main Mosque at Mahgaon. Similarly the sons of Meer Hatim Husain of Asrawe Kalan inherited and shifted to Neewan and virtually became the masters of the village. 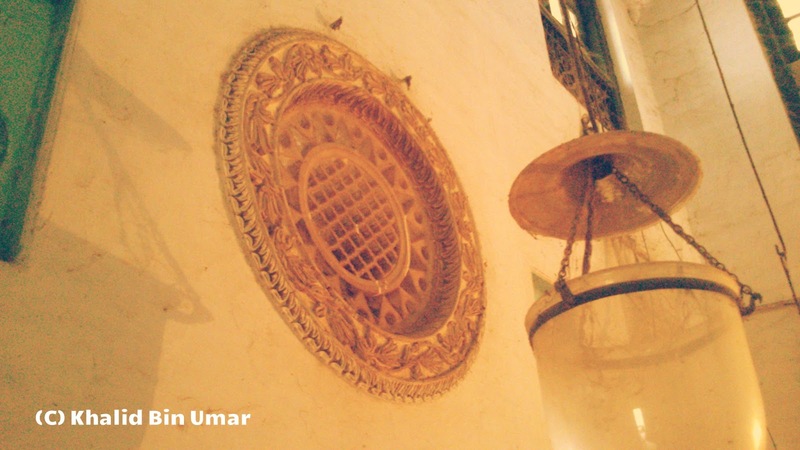 Nawab Isa and his brothers Sayyid Umar and Ibrahim are already discussed above under Thok Muhammad Gahiya. The village was under the sole proprietorship of the Zamindars of Neewan since but in 1841 an interesting chapter was added, when Khuda Bakhsh Buchad(Butcher), resident of Meerut, purchased the entire village at the cost of 865 Rupees in 1214 Hijri ( A.D). Then he deputed a cruel Gumastha to collect the Lagan. The Gumashta and the general treatment from Buchad was so harsh and cruel that all the zamindars now repented having sold their entire share. Luckily after a small fight , the matter went into court and from there went into federal court at Calcutta and the almost the entire village was returned to the Zamindars except the family of Shaikh Ghulam Ali. 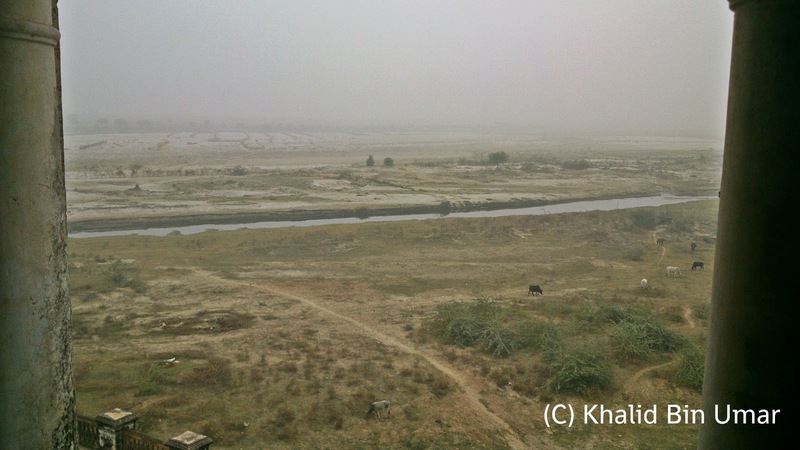 1 With the passage of time , Thok Panah and Ameen started selling the lands to the zamindars of Thok Gahiya and gradually they became the most powerful of Zamindars in Neewan. I will discuss the names & families in detai. At the time of abolition of Zamindari in 1952, each thok had 2 Annas & 8 pie share left while the family of Nawab Isa had 8.5 annas in Niwan. There is least doubt that during the last century from 1880 – 1952, the Biggest Zamindar in Pargana Chail was Shaikh Abdul Samad of Neewan and His nephew Sayyid Muhammad Isa (Nawab Isa) continued to be the biggest revenue payer till the end of the Zamindari in Chail. 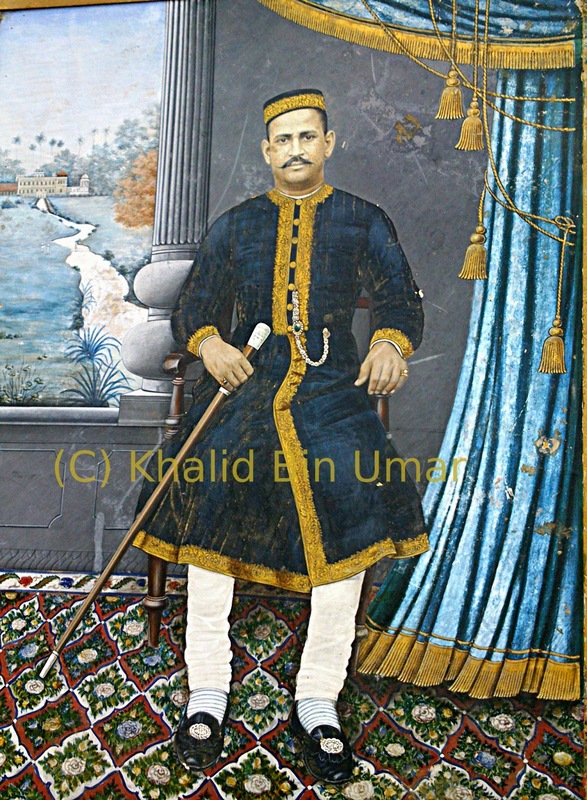 Shaikh Ghulam Ali was the patriarch who laid the foundation of the business along with his nephew Karim Bux in Calcutta that grew in his life time so much as he was counted amongst the business tycoons in Calcutta at the end of the 18th Century. His story is a perfect example of “Rags-to-Riches” as he lived in Niwan without any job but when he moved to Calcutta to earn a living , the entire village was sold to the Buchad including his share. And later on after a prolonged legal battle when the village was restored to the original Zamindars , he was absent and unaware of the legal proceedings ,could not get his share back. Thus he was ridiculed and was once reportedly spurned out from the mosque in Niwan for being without a Zameen.Humiliated at the hands of his local kinsmen , he went to Calcutta in the Mid 1860s and picked up a job in a local leather factory but this time he was a changed man. He was an ambitious Ghulam Ali this time, he did not forget the humiliation and also that his paternal lands have been taken away from him. He vowed that he would not return to Niwan unless he has land in the village and till then he had no right to live in Neewan as he had no farming / lands there. 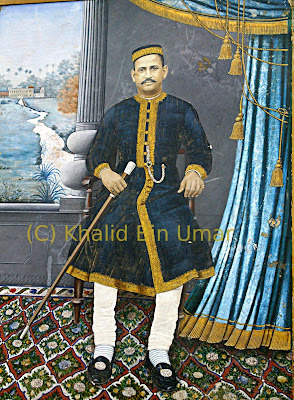 Ghulam Ali toiled night & day and became a supervisor with the local tannery who was owned by a British. next he became the manager of the production Unit and then the In-charge of the entire unit. Things are not very clear today but within a span of 10 years Ghulam Ali converted himself into being an owner of his own leather producing factory. He further ventured into the snake, crocodile leather which took him into leaps & bounds and his export grew miraculously. 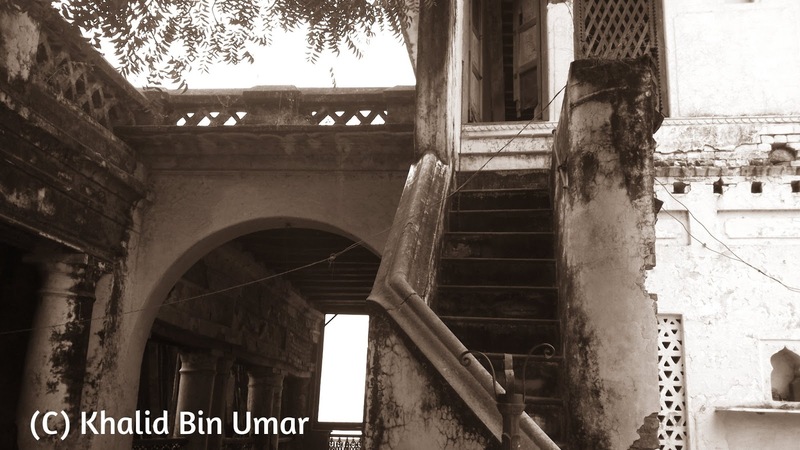 Soon he returned to Neewan and found the existing zamindars in heavy debts, desperately looking for a buyer to purchase their shares and from 1870 started the buying spree , the first two villages that he bought was Sallahpur & Tiwara. 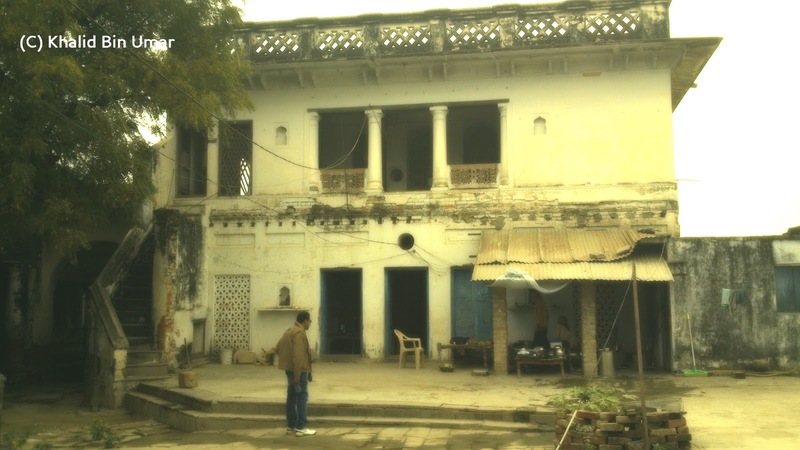 Nobody in Pargana Chail had the courage to buy these two villages in 1870 but he bought it full in Cash and from that day started the buying spree of this family that went on till 1930s carried on by his successors…… Ghulam Ali constructed a Mosque at Neewan and another at Kolhu Tola ,Calcutta, purchased a dozen of Buildings, erected a large mansion to live in Calcutta. He spent lacs of rupees in throwing lavish parties which were held twice a year to the elite of Calcutta and hundreds of people aspired to be invited to his Dawats. In short Ghulam Ali reached an enviable stage in a very short span of time and vindicated his love for Neewan by purchasing /increasing his shares in Pargana Chail. He died in 1871 in Calcutta and was buried in Bagh Pukhta, Niwan , which was erected in his memory by his nephew( Sister’s son) Shaikh Abdul Samad who succeded him by adoption. Later on a boundary was erected with beautiful trees were grown in rows with a room & porch, a well to enjoy the weather as well. This is known as Pukhta Bagh in Niwan. 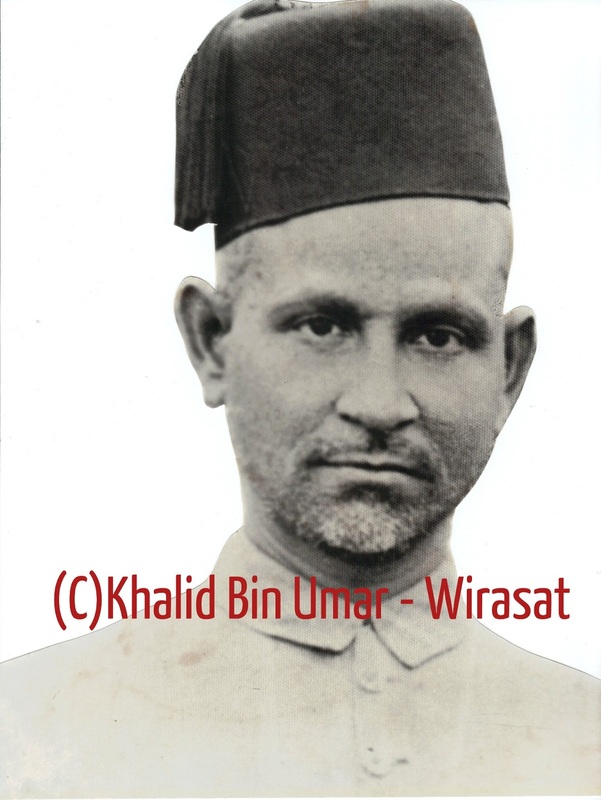 Nawab Isa (Sister’s son; s/o Hatim Husain of Asrawe Kalan). Shaikh Abdul Samad was the son of Shaikh Ramzan Ali of Bansa Baghara (a village on the banks of Ganges that was devastated in 1857 and a nearby place was replaced as Baghara). He was adopted by Shaikh Ghulam Ali as a child and used to live in Niwan. He inherited his maternal Uncle’s property in his teens but his youth did not deter him from learning and going ahead with his ambitions. He acquired vast practical knowledge about Zamindari and started purchasing shares & villages since 1870s unilaterally till his death in 1914. He was the one who actually He had such an authoritative say and enjoyed such an enviable position amongst the Zamindars of Allahabad that very few could surpass him at that time. From two villages he increased the no. of shares in at least 50 villages in his life. He was a disciplined person and he managed the Tannery at Calcutta with Zamindari in 30/40 villages at Allahabad simultaneously with equal efficiency. He was a hard task-master but with a tender heart. He was a philanthropist and donated large sums to the charitable causes throughout his life. From AMU to the Orphanage in Allahabad, he did not stop from contributing towards the community issues…. He was unfortunate in terms of having father three sons out of which none could survive or leave a male heir. 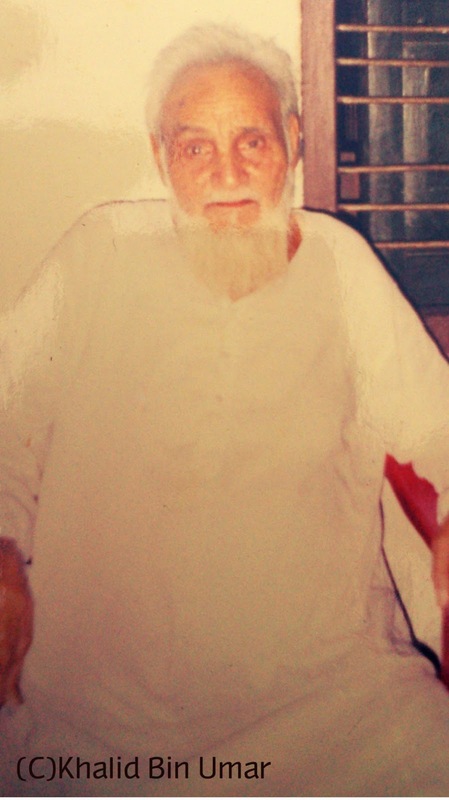 He had three sons Muhammad Abbas ( Pictured above ), Muhammad Ilyas and M. Fayyaz. All of them got married had children but none could survive. This tragedy had a major impact in the later years on the life of Shaikh Abdul Samad. 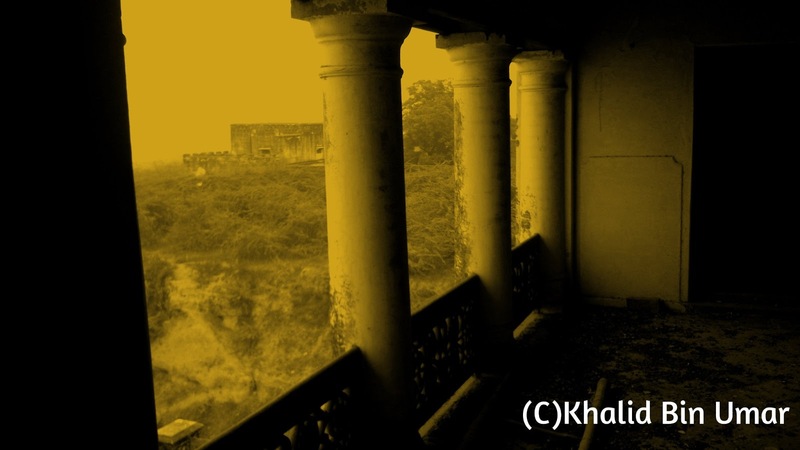 The Great zamindar of Niwan whose diktat ran over the people and their lives, was suddenly reduced to a man living in a big, crumbling zamindari house , silent. He was dejected, disappointed and disillusioned with the material life but the could not entirely detach himself as there was no one to take care of the large empire he had gathered from Calcutta to Allahabad. Thus he dedicated himself to religious activities and entrusted all his estate in Waqf in 1907 and passed away in 1914 leaving his adopted nephew Sayyid Muhammad Isa as mutawalli /in charge of all that he had by that time. A random list of his holdings in Chail only (out of Chail are not included.) in 1911. He had added a lot more villages after and the record of which is not available with me. 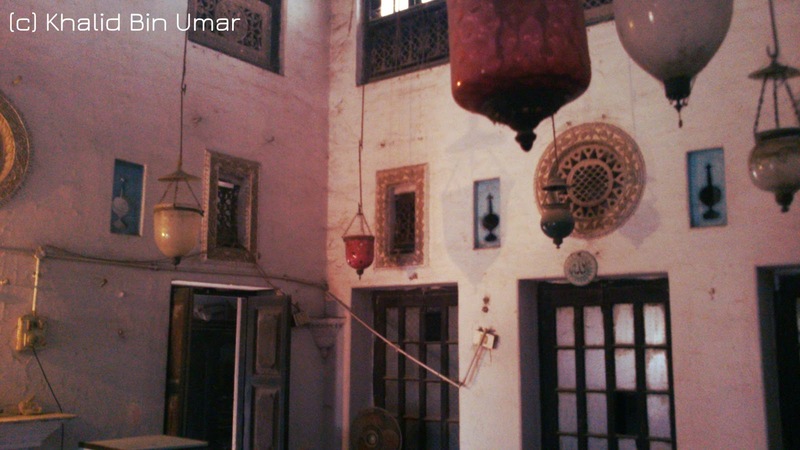 He had few houses at Hammam, few in Sarai Gadhi and other few buildings in Nakhas Kohna and Chowk. 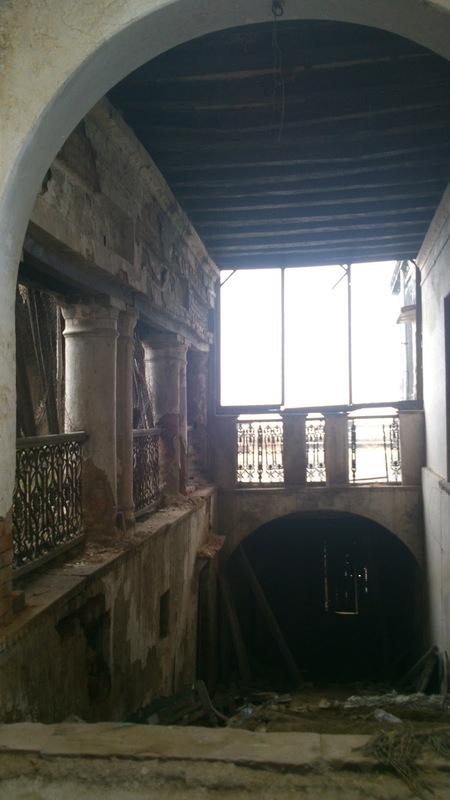 Further he owned large leather factory apart from about a dozen other buildings in Calcutta. He had to take care of a lot of mosques in Allahabad apart from the ones at Niwan and at Kolhu Tola , Calcutta. He was the one who actually helped the Madarsa Subhania at Sarai Gadhi to establish and funded the madarsa entirely for a number of years. Apart from this he contributed towards the cause of Aligarh Universtiy, the Orphanage in Allahabad and the Madarsa at Makkah al Mukarramah quite substantially. And a host of other establishment and institutions that is no use to enumerate all here. I am reproducing herein below the Will for the Waqf of Shaikh Karim Bux of Niwan that tells of the concerns , way of thinking of the people in the past.By the way Shaikh Karim Bux was a common man and his will tells give us an idea of the mind-set of the people of that generation. Pay and subsistence for the teacher for the education of the children and others and any one desirous of education. For persons staying in Mecca per details given therein. The brightest gem that Niwan produced is in the form of Shaikh-al-Dalayil Mawlana Shah Abdul Haq Muhajir Makki Rahmatullahi Alayhi. We, the Chailis seem and found to be basically against the learning (ilm) and also against the traditions of learning (Ilm-o-Fazl) , similarly we DO NOT recognize and venerate if there by change comes any person of knowledge in our eyes and the proof of our ignorance, anti-learning attitude is that we do not know , we do not remember , we do not cherish the memory of the excepted few who excelled in in any department related to ilm o Fazl . today I think there are less than 1% of Chaili who could even tell the name of such a scholar of high standing that Niwan should be proud of…………I am talking about Maulana Shah Abdul Haq Mahajir Makki. Maulana Shah Abdul Haq Sahib was the son of Shah Muhammad of Niwan of Thok Muhammad Ameen. His father did different business at different times at different places. 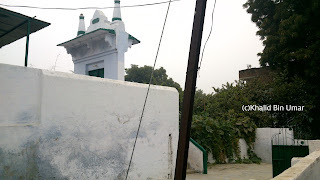 During one of his pursuits at Rasda (then in Gorakhpur) he married a lady there and from this marriage he had Mawlana Shah Abdul Haq. Shah Abdul Haq was born in Niwan in 1253 AH/1836 AD. 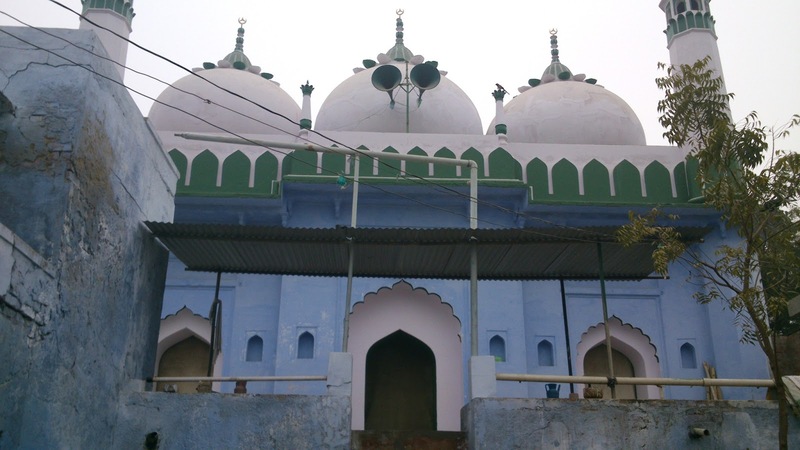 After initial studies at Allahabad he was sent to study at the feet of Ulama-i-Firangi mahal, especially Mawlana Turab Ali Lakhnawi (D.1281 AH). Thereafer he proceeded to Delhi for further education , there he learnt hadeeth from Shaikh Qutub-ud-Din Muhaddis Dehalvi (RA)and from other Ulama as well. He had already taken a Bai’yat’ at the hands of Shah Abdullah Gorakhpuri (RA) in Naqshbandia Tariqa and in 1283 AH he migrated to Hijaz ,performed Hajj and got benefitted with the company of Shaikh Abdul Ghani Muhaddis Dehalvi when he lived with him in Madinah al Munawarrah for 4 years. Finally he settled at Makkah al Mukarramah permanently and for about half a century he delivered Dars / Lectures on Tafseer, Hadees and Tasawwuf in which Ulama and Mashaikh from all over the world used to be present and learnt from him the knowledge of Quran & Hadees. Haji Imdadullah Mahajir Makki (RA) was also a friend of him. People especially took permission of Dalail al Khairat from him and this way he was known all over as Shaikh ul Dalail Makki. Amongst the notable who took Ijazat of Dalail from him was Maulana Ahmad Raza Khan of Bareilly as well who went to see Shah Abdul Haq during his second Hajj. He wrote few books as well. He wrote Siraj us Salikin as a translation of Minhaj ul Abideen of Imam Ghazali and spent 30 years to write an Arabic commentary on Tafseer Madarik al Tanzeel of Abdullah Nasfi which has been published in seven volumes entitled as Al Akleel Alaa Madarik al Tanzeel wa Haqaiq al Taweel. He was also the reviewer of Dawlat al Makkiyyah. There are few more notes/books written by him like Taleeqat al Durrul Mukhtar. ‘Al-Durr al-Munazzam fi Mawlid al-Nabiy al-A`zam’ about celbrating Maulid. 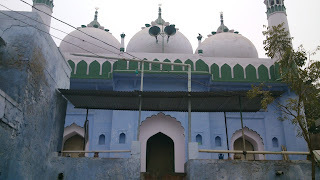 Maulana Shah Abul Khair Abdullah Dehalvi and Mawlana Abdul Awwal Jaunpuri , Shaikh Abdullah Ibn Muhammad Al Ghazi , Sayyid Muhammad Abdul Hayy Katani are reported to be few of his most famous disciples. He passed away on 19, Shawwal, 1333 AH /1915 AD in Makkah and was laid to rest in Jannatul Ma’ala. Rahmatullahi Alaihi in Makkah. He did not marry and hence no issue went on. His brothers’ progenies are found in Pargana Chail. Today the strong past on Niwan is attacking its present and the future seems to have been lost in the quagmire. 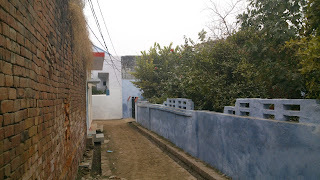 Only two families from the original stock are living in Neewan today. The family of Janab Manzar ul Islam lives in Allahabad and similarly the family of Late Wasiullah Sb Advoctate is also in the city. A family is in Neem Sarai another in Mahgaon……..and that’s all. The family of Khalid Niwani is at Kareli and their original branches have migrated way back in the 50s.By the time I sat down to write about Niwan ,Nadeem , the son of Professor Khalid has also expired. Ironically one of the well-known Niwanis of Allahabad i.e Faseeh Niwani , the ex-corporator is infact not a Niwani . His grand-father was from Chail Khas and he settled in his nanihal at Niwan. Neewanis are few and difficult to count but their historical grandeur and awe of their erstwhile zamindari still resounds and echoes are to be heard……….. I am grateful to Janab Manzar-ul-Islam Sahib Advocate and Mr.Sibghatullah S/o Late Wasiullah Sahib Advocate for their help and guidance that made the journey and quest memorable. Janab Manzarul Islam was initially employed in Railways which he left in 1961 to practice independently as a lawyer. He is profoundly attached to his native place and tries to collect, recollect the memories related to the village. 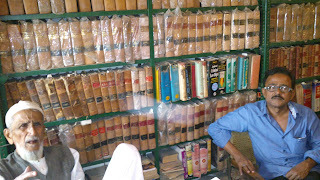 Similarly he is too much enthusiastic about Mawlana Shah Abdul Haq and intends to collect his books as well. Niwan has really something to do with Power and corridors of power. Once the biggest zamindar of the land lived in Niwan , he ruled like any other zamindar. 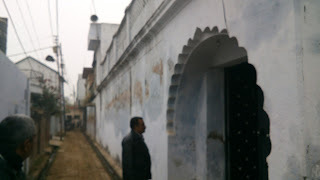 After the Zamindari abolition Late Dharamveer (Cong) who was a Union minister belonged to Raman Ka purwa , a hamlet of Niwan, two of his sons are still part of the power corrider today, MLA from Soraon Satyaveer is his son while his brother & senior SP leader Shailendra Kumar is a two times MP from Chail parliamentary seat. Apart from This Kesri Nath Tripathi a Seniro BJP leader is also from Niwan Village. Today Puja Pal MLA who represents the Allahabad West constituency is also from Niwan. Thus we see that Niwan and Power go hand in hand…….. 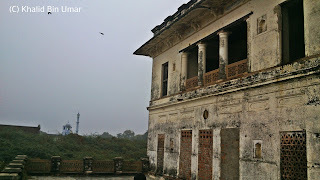 The mansion in Niwan , now known as Mahal , was constructed by Shaikh Abdul Samad on the occasion of the marriage of Shaikh Muhammad Abbas, his eldest son in 1899 right on the banks of River Ganges and it is by all means one of most exquisite & ravishing place I have seen so far in any village found on the banks of a river. There is a popular but very SAD legend associated with the construction of this building that when the foundation of this building was laid down on the banks, (the sandy banks and the soil collected by Ganges ) it could not withstand or survive even for a day and thus the construction could not take off at all for a month.They tried to lay the foundation but it was swayed or found crumbled the next morning. They toiled hard for the foundation throughout the day and it was found to be washed away the next morning. Disturbed with the continous failure, some Sooth-sayers or astrologists suggested the builder to offer a Neenv Bali( Foundation Sacrifice) in the human form and the stories say that a young boy was sacrificed/buried at the foundation place of this building and after that the Foundation not only withstood or was found intact after the Bali but the construction started as well and the building got ready in a span of one and half year. I do not know whether it is true or not and I would say in Persian Darogh Bar Gardan-i-Raavi ( The Truth of falsehood of the story rests on the narrator, I am not answerable for the truth in it ). 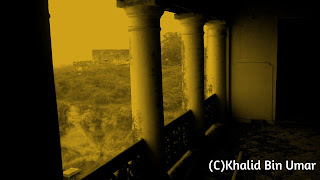 Ravaged by the vagaries of time, the haveli still echoes the past with remnant traces of grandeur and aristocracy. 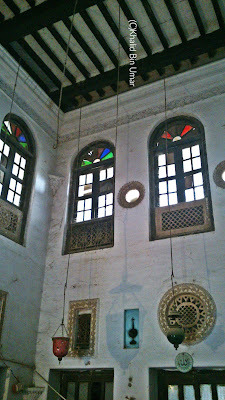 This building was later known as Kothi and was indeed a massive structure inside an enclosure having large courtyards, forts like ramparts, Chaubara, Main Hall, Places for darban, Masjid , it seems that master craftsmen from Rajasthan were commissioned for the buildings because I found some signs of intricately carved wooden doors, quaint Jharokhaas , and the beautifully ornate carvings on the walls are still partly visible. 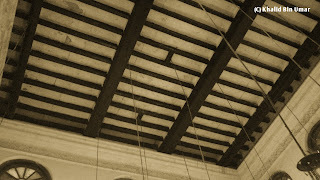 The Exquisite designs are in the miidle of the lower half of the wall, and an intricately carved central wooden beam supports the ceiling of the central hall. The old majestic lifestyle showcases even today in the architecture of the Kothi which was built to look distinct and fascinating than any other buildings. The wooden beams on a wall here and some broken windows and arches there remind the old timers of a beautiful place with the river in the background , Its a dream location indeed. 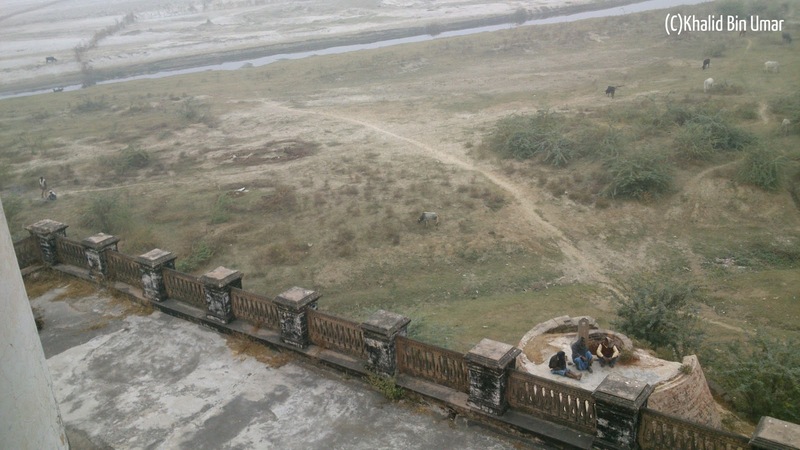 The stairs around the main entrance used to be the way up to the first floor and then the terrace, which had a grand view of the Ganges. The well-appointed guard rooms to the gate too is just a memory, now. 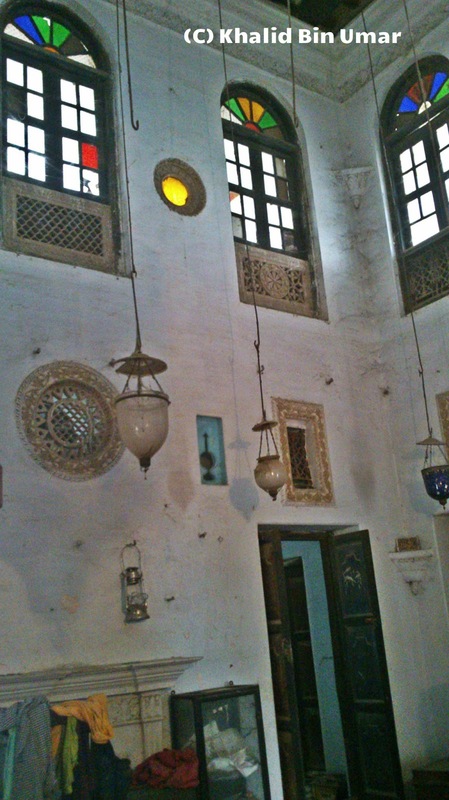 Beautifully carved mirrors and a dozen of magnificent chandeliers adorn the hall of the haveli. According to people, the haveli glowed and sparkled like gold in the evenings when all these lamps and chandeliers were lit in all its massive rooms spread over such a huge area. The Building would have continued to be an object of aspiration even today but Alas , for the carelessness and the intricate internal feud have marred everything there. There is a subway from inside the building that goes directly to the Ganges. Today the building has more snakes and Jinns than human being. The silence was so perfect that assumingly the faint hiss of a snake would sound like a shriek. There was a large Ghadiyal (Gong) that was struck to announce the time 24 hours for almost half a century which is now ruined. Its sound was heard far and wide outside the village. Shaikh Abdul Samad was unfortunate in terms of having fathered three sons but his line got dead. None of his sons could survive or leave a male heir for the succession. He had three sons namely Muhammad Abbas (Pictured above), Muhammad Ilyas and M. Fayyaz. All of them got married not once but twice but had no children except a grand-daughter which lived for few years before her infant death. The local people relate when her only grand-daughter died it was the only day when people saw tears in his eyes and he wept bitterly leaning against a pillar inside the Mahal. 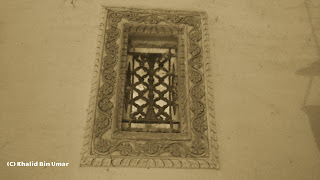 Broken, Shattered, dis-illusioned Shaikh Abdul Samad bequeathed all his estate into a WAQF and anointed his Bhanja Mohammad Isa as the Mutawali and successor. The Great zamindar of Niwan whose diktat ran over the people and their lives, was suddenly reduced to a man living in a big, crumbling zamindari house, silent and lost. 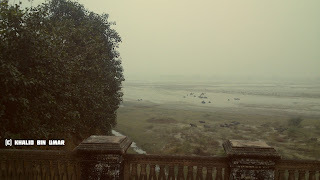 It was an extremely misty and hazy morning when I reached Niwan. When I stood at the open terrace towards the Ganges, I could spot the farmers going towards their lands, Buffaloes and Cows on their job, Far aside like a painters art, the river Ganga flowed towards Allahabad. I feel ecstatic to see green fields, baby goats, the nimble breeze and most of all the burnt-red earth. 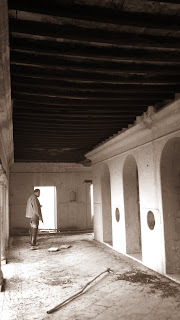 Today the Mahal is a ghostly place, I am sure there are more serpents and jinns that human beings….the walls are crumbling and The major part of the massive complex is in a monumental state of neglect.The present occupants are low on funds and are disturbed by the internal strife & feud. 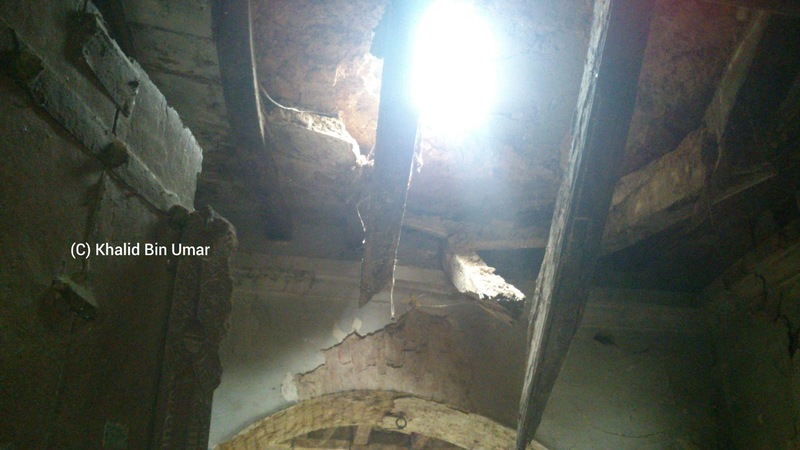 I am sure that this historical building may deteriorate or even cease to exist, if no concerted attempt is made for its maintenance and protection soon. People were telling me that here was the Ghadiyal , here stood two mace-bearers (Chobdar), two darbans, and here was the Tam Tam, Bagghi , Jhad Fanoos, Ghoda, Gadi, Naukar, Chakar, Munshi, Karinda , Gumashta, Safa , Turra, Daon & Pech………..But I had least interest in listening to these Tamashas……..Truly it was a Tamasha. Na who Tamasha raha , na tamashayi Rahe ! Kya ab bhi wo waqt nahi aaya ki hosh ke Nakhun len ? And history isn’t just stories without proof. There is physical evidence as well. Yet with all the history God recites to us, it’s still clear that it will only be heeded by those who believe those who are seeking God. Dhoondh Ujde Hue Logon Mein Wafaa Ke Moti..! Ye Khazane Tujhe Mumkin Hai Kharaabon Me Milein..!! But I found living here in the Kothi three young chaps Zain , Azeem and Nabeel (sons of Muhsanat Ahmad Urf Chand Bhai of Rohi , Damad of Anees Begum and Pasha Nawab) who are the rays of hope……..Lets see what turns out to be………otherwise some 100 years from now, if there happen to be another freak like me , he will tell you how did all they fare and will connect you and tell you the next episodes of the great epic of Niwan…………The show will go on………..
Till then its Assalamu’alaikum from the desk of Khalid Bin Umar. May Allaah swt bless you , me and everyone of us with true Guidance. Ujde hue logon se GurezaN na hua kar ! ! Halaat ki Qabron ke ye Katbe bhi parha kar ! Khwabida parindon ko darakhton se Uda kar ! Tanhai ke lamhon mein Kabhi ro bhi liya kar ! Dhoonda tha Jise Waqt ki Deewar Gira kar ! Turab Ali of Neewan was employed somewhere in South ( Deccan). It happened once that upon his return from Deccan he was not entertained/treated propely by his sisters-in-law. Having felt insulted he left the house and went to Abubakarpur which was a Mazra of Niwan and constructed a house there.For sometime he managed to live without a family but later on at the suggestion of some people he married in Khuldabad which was obviously out of Biradari and that became a big issue then 100 years ago. Outraged as he was already, he eventually cut-off all ties from Niwan and took Abubakarpur as his permanent abode and ever since his descendents are living here. 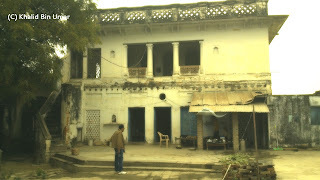 Turab Ali migrated to Abubakrpur between 1860 -1880. Turab Ali had three sons, Afzal Ali, Fazal Ali and Amanullah and these three are the forefathers of the present occupants of Abubakarpur. Afzal Ali had Safdar Ali , Hyder Ali and Ataullah. Safdar Ali had Nawab Husain Urf Jigna , Ehsanullah, Amanat Husain, Ibrahim Husain and Anwar Ali. 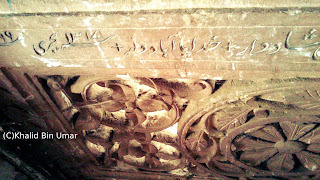 Ataullah had Qudratullah who had Basharatullah (Khetai). Hyder Ali had Samiullah & Faizanullah. Fazal Ali had Inayatullah who had Tajammul Husain who is the father of Muhammad Fazal, Ex Governor of Maharastra & Mahmood Fazal. 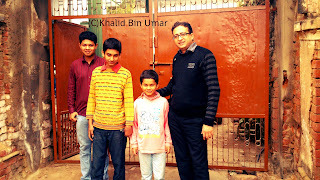 From the same family came Anwarul Islam Urf Bedi as well. Amanullah had Ali Husain who had two sons Amirullah Urf Jhau Miyan and Ikramullah Urf Suddan Miyan.Ikramullah’s son are Khalilullah and Zamirullah. Khalilullah (82) is still there. 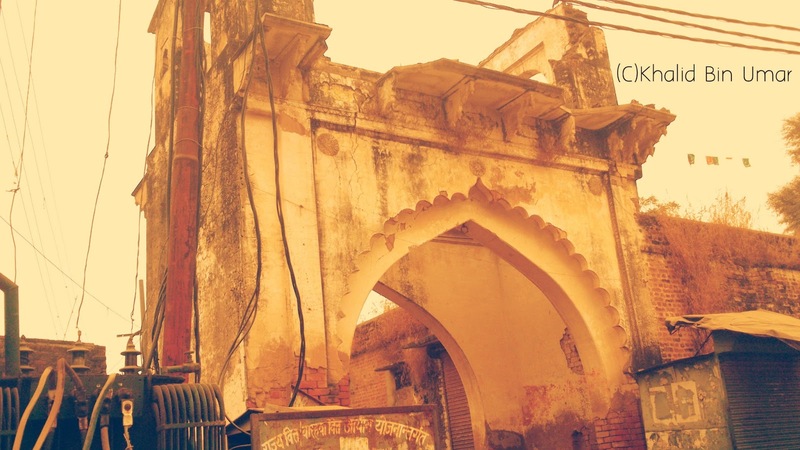 Abubakrpur was the actual belt of Guavas that made Allahabad famous all over the world. Later on the urbanization took a heavy toll and the entire Guava belt disappeared from earth and silk belt was introduced. It is very difficult to find Guava Farms in Abubakarpur now. Today Abubakarpur is proud of having produced Mohammad Fazal (born July 2, 1922) who had a distinguished career both in the private and public sector industries before the Centre picked him to nominate as Governor. He read for his degree at University of Allahabad and later he had his post-graduate education at the London School of Economics and in Political Science from University of London. In 1977, he was appointed the Secretary of Industrial Development, Government of India, served Planning Commission as its senior-most member from April 1980 till his resignation in January 1985. Thereafter, Mr. Fazal was the founding chairperson of Hughes & Hughes Chem Ltd.From April 1980 to January 1985. He was a Member of National Defence Advisory Board of the Government of India from December 1998 to November 1999 and then took over as Governor of State of Goa on November 26, 1999 and finally became Governor of Maharashtra from October 10, 2002 to December 5, 2004.When I visited Abubakarpur, he was quite unwell and hence we couldn’t have a meet! I would like to congratulate you on this great research work. My name is Hasin Ahmed. 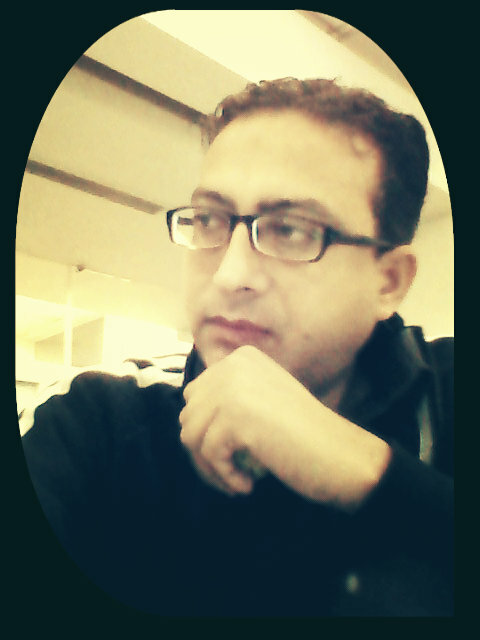 I am eldest brother of Anis Fatima, the heiress of the property in Niwan. 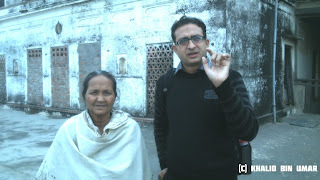 She is the widow of Pasha Mia.My younger brother Shameem Ahmed lives in Allahabad. I am currently based in Chicago. 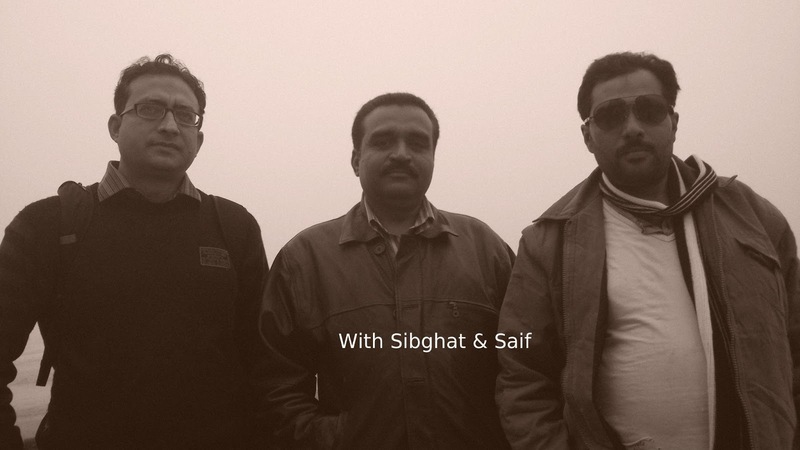 We will be in Karachi in Oct. and also intend to visit Allahabad.